Introducing the New Simonandschuster.com | News and Corporate Information about Simon & Schuster, Inc.
NEW YORK, December 5— Simon & Schuster is pleased to announce the newest evolution of simonandschuster.com, the official website of Simon & Schuster, Inc., will debut today. 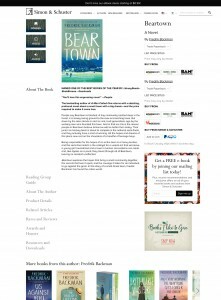 The new website, which represents a top-to-bottom makeover, continues Simon & Schuster’s tradition of constantly refining its digital presence to help readers find information about their favorite books and authors, or newly discovered gems, in the most direct and accessible manner from any device, with a special focus on mobile phones and tablets. Optimization for Mobile—Improved swiping and tapping capabilities make the mobile version as easy to use as the desktop site. Improved Book Pages—Find everything about a title from a single page: open content drawers to read a description, see the cover, watch videos or sample the audio version. Links to various retailers will remain on the side of the screen during scrolling, making purchasing books easier than ever. Also included on the book page is a brand-new addition called Why We Love This Book. Hear directly from a book’s editor or other Simon & Schuster employee about why this title stands out. 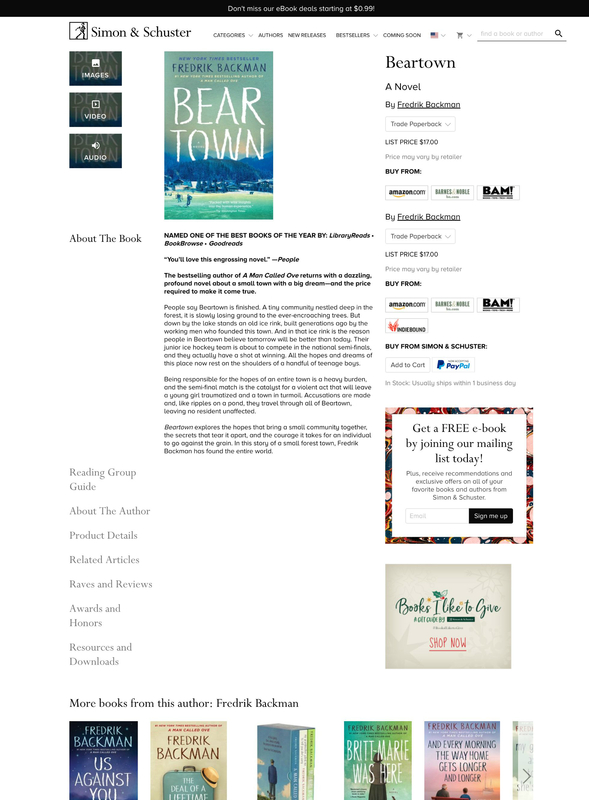 This new feature is designed to give readers an inside look at the book-making process, and to provide a compelling argument from a publishing insider for why they should read the book. It’s a great way to find out what makes a title unique from the people who know it best. Find Your Favorite Authors—Newly designed author pages make it easier to give readers the information they most care about, including ways to find out authors’ next live appearances and see other titles by those authors. Book Club Favorites—A revamped presence now incorporates branding from Simon & Schuster’s recently launched Book Club Favorites, with content curated specifically for the book club audience, the ability to promote special Facebook Live events and more. Payment Options—Customers can now use Paypal to buy directly through simonandschuster.com. The site will maintain some of the features from the former site that users love, such as bestseller information, curated book recommendations, series pages and a carousel of new releases. The site also makes it easier than ever to join Simon & Schuster’s email list for access to even more great content and offers. The update will feature streamlined navigation and higher quality images, and will cut page load time in half, all making for a better user experience. 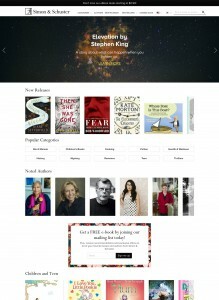 Simon & Schuster’s consumer sites in Australia, Canada, India and the United Kingdom, and at its business-to-business sites simonandschuster.biz and simonandschuster.net will be launched simultaneously with the new site design and performance metrics.